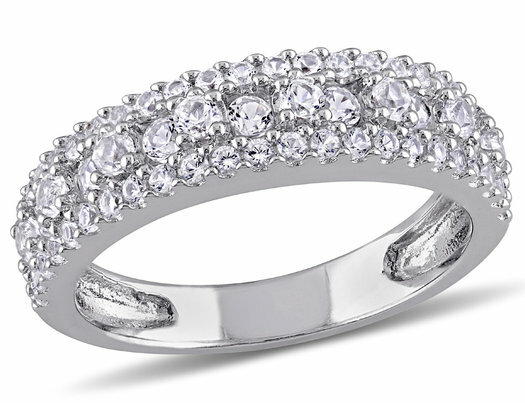 Perk up your wardrobe with this sparkly silver anniversary style wedding band. Made of sterling silver with created sapphires, the stackable wedding ring makes a great addition to any jewelry collection. The ring's understated class ensures you get compliments from friends when its twinkle stones catch their eyes.